Appaloosa Elim is a man who knows his place. On a good day, he’s content with it.Today is not a good day. The border town called Sixes is quiet in the heat of the day, but Elim’s heard the stories about what wakes at sunset: gunslingers and shapeshifters and ancient animal gods whose human faces never outlast the daylight.If he ever wants to go home again, he’d better find his missing partner fast. But if he’s caught out after dark, Elim risks succumbing to the old and sinister truth in his own flesh – and discovering just how far he’ll go to survive the night. 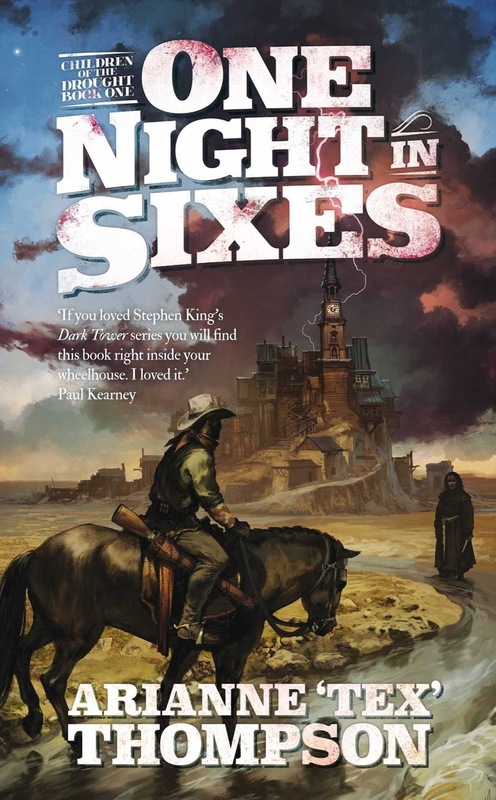 The first book in an epic fantasy Western series, One Night in Sixes tells the story of the fragile peace between the industrialized east and the indigenous west – and how it threatens to fall to pieces when two strangers cause a terrible accident. Recommended for fans of the Western mythos of Stephen King’s Dark Tower series, the post-war frontier dynamics of Firefly and Deep Space Nine, and the multicultural fantasy realms of Ursula K. LeGuin. First, let me state I stepped out of my comfort zone reading “One Night in Sixes.” It’s not a book that can be read half-heartedly or with a quick passing interest. It needs your whole attention as a reader. Yes – the story is confusing. Yes – often times I found myself getting lost as I was reading it. Admittedly, within the first two chapters I was speculating where the initial slow paced story was going. But, as the story progressed with the main characters of Appaloosa Elim and Sil Halfwick trying to sell horses, they get deeply immersed in the island town of Sixes. The plot then twists and turns around Elim who gets drunk and shoots a gun, all because he followed his friend Sil into Sixes. What was the result of him shooting that gun? Read the book discover that answer. 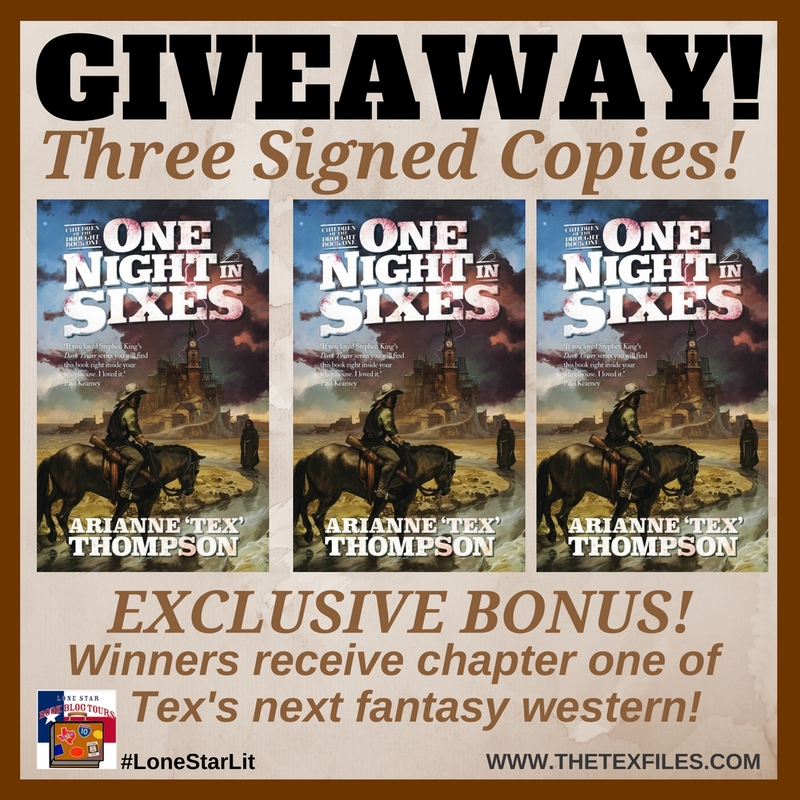 Arianne ‘Tex’ Thompson wrote a western fantasy mixed with paranormal influences. The cover alone of this book is a tantalizing representation of many Louis L’Amour covers, but Thompson takes this western to a whole new level. She took the path less taken with “One Night in Sixes” as she weaves varieties of characters, religion, and race, along with the supernatural. As with any good storyteller, she allowed me to draw my own conclusions. The best part of the book for me came in a later chapter, titled “Necktie Social” when the Fish-Queen stepped out of the water. That’s when the mystical undertones clearly made sense to me while reading this book. Thankfully, the complex writing is accompanied by an end glossary which helps you understand what is what and who is who. Without the glossary I would’ve been lost entirely. If you’re a serious reader who wants to read writing that challenges your mind – then One Night in Sixes is a must read for you. Arianne “Tex” Thompson is a home-grown Texas success story. 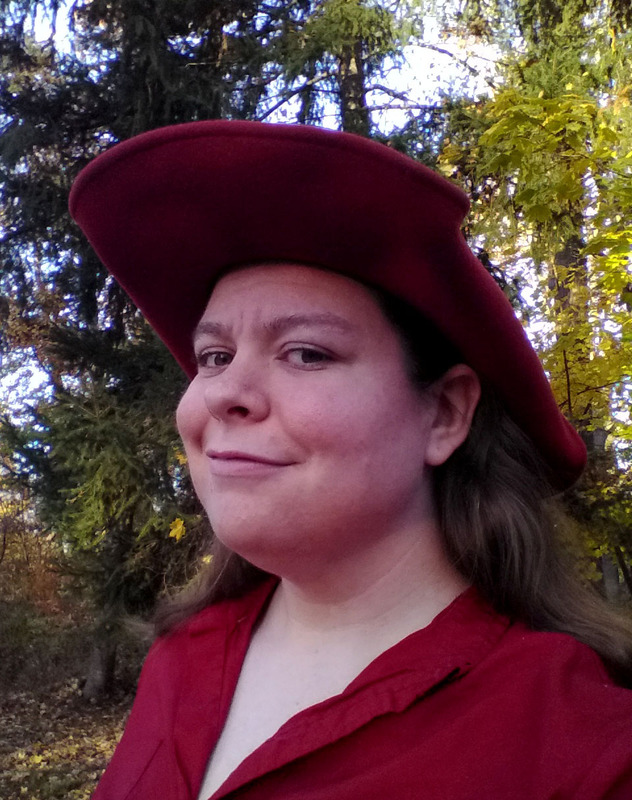 After earning a bachelor’s degree in history and a master’s in literature, she channeled her passion for exciting, innovative, and inclusive fiction into the Children of the Drought – an internationally-published epic fantasy Western series from Solaris. Now a professional speaker and instructor for the Writers Path at Southern Methodist University in Dallas, Tex is blazing a trail through writers’ conferences, workshops, and fan conventions around the country – as an endlessly energetic, relentlessly enthusiastic one-woman stampede. PLUS EXCLUSIVE BONUS! 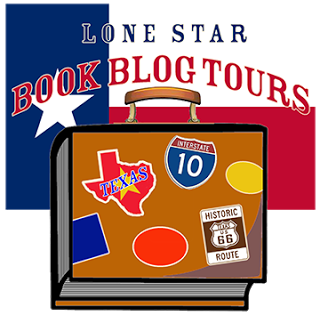 CHAPTER ONE SNEAK PEEK AT TEX’S NEXT FANTASY WESTERN!